This page features all the videos Energy Matters has produced over the years; showcasing our customers and the technology powering Australia’s solar revolution. 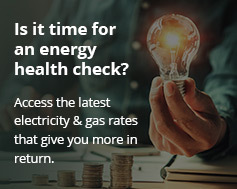 In these videos, find out how easy it can be to start saving money by making your own electricity with a solar power system provided by Energy Matters – join over 15,000 Energy Matters clients around Australia slashing their power bills and carbon emissions footprint. Learn more about grid connect and off grid solar power systems and components such as solar panels, solar inverters and deep cycle batteries. Did you know that not all solar inverters and panels are created equal? You’ll find out why in these videos. Hear what some of our many customers have to say about going solar, the financial benefits and their experience with Energy Matters. Energy Matters’ commercial solar arm specialises in systems 20kW to 1 megawatt capacity and has executed a number of significant projects. Learn more about some of the medium scale commercial installations Energy Matters has completed around the nation. Various interviews over the years with Energy Matters staff and co-founders. Created by solar installation professionals for other solar installers, 100% Australian designed and manufactured super-strong SunLock solar panel mounting systems were developed by Energy Matters’ sister company Apollo Energy. A trip down memory lane. Some of the solar power and clean energy stories from Australia and around the world we covered between 2010 and 2012 as the solar power revolution was really starting to get into gear. Some of the solar campaigns and community initiatives Energy Matters has been involved with. Ready to go solar? Get an instant online solar quote, view this week’s solar package deals or contact our friendly team – we look forward to assisting you in joining Australia’s solar power revolution!